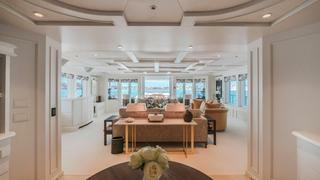 Mosaique is a sophisticated and stylish 50-metre which, thanks to her thoughtful design, retains a sense of intimacy and ease throughout her spacious decks and opulent interiors. 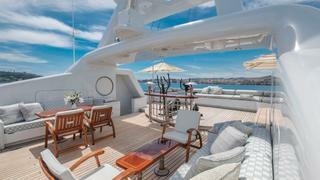 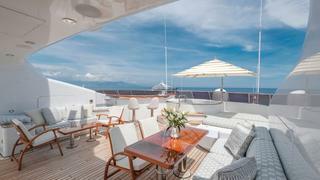 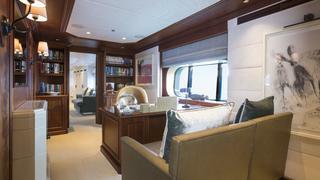 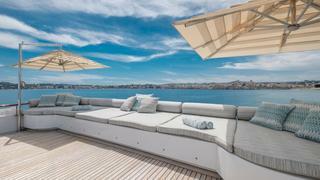 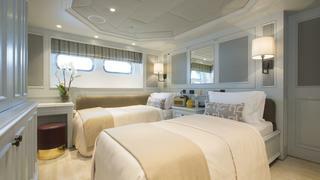 Mosaique's main deck saloon sets the perfect tone for relaxation. 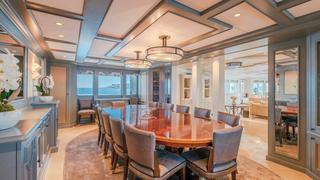 This opens forward into an elegant games room, which in turn leads on to the 12-seater formal dining room. 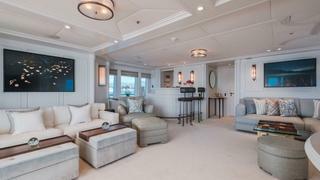 Also on the main deck, the magnificent full beam master suite boasts an owner's study, a separate seating area and a bathroom lavishly decorated in onyx and marble. 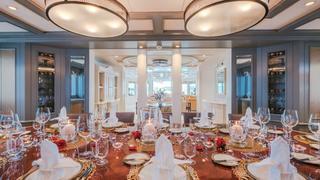 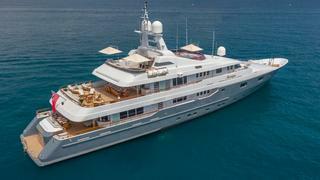 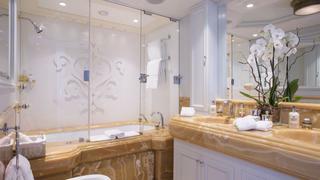 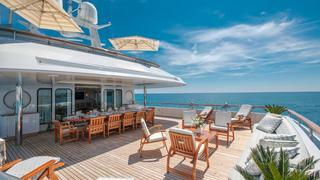 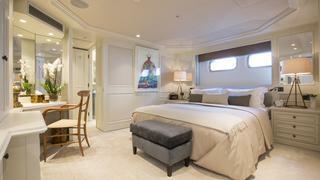 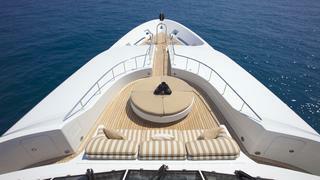 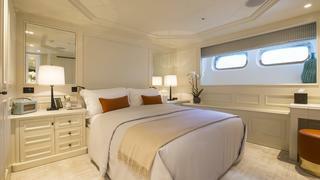 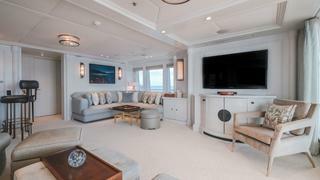 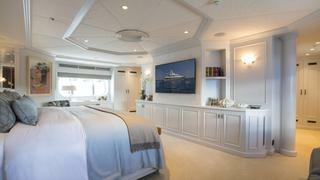 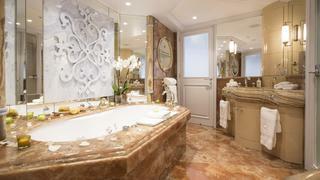 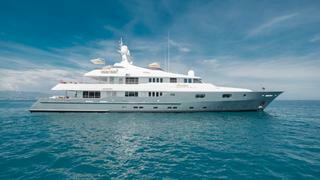 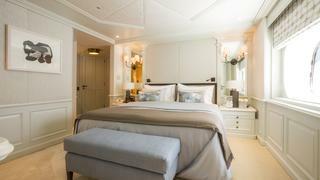 This sets the standard for the remaining five staterooms, four doubles and a twin on this and the lower deck. 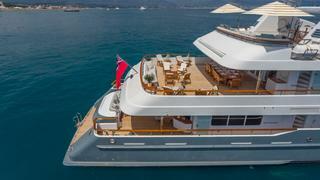 Outside, the yacht's sundeck is a highlight, incorporating a Jacuzzi pool surrounded by sunpads and loungers, and a bar and tables for informal, alfresco meals. 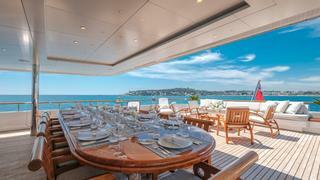 Mosaique's gym equipment: running machine, recumbent bike, cross trainer and weights, are also on this deck. 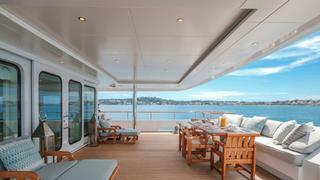 One deck below, the upper deck offers another more formal outdoor dining option, with seating for up to 16 guests, shaded by the sun deck above. 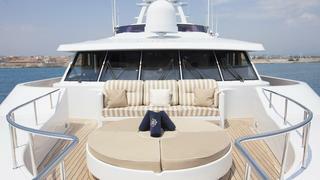 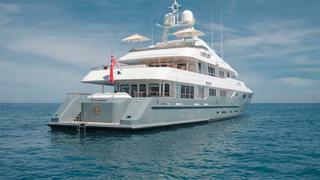 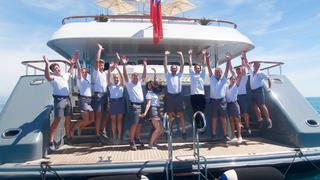 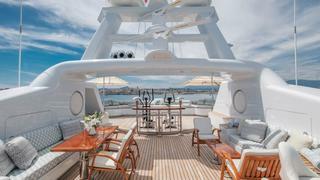 Mosaique's main tender is an 8.00m Zodiac Prolux 630 seating up to 10, while a 4.2m Joker is available for water sports. 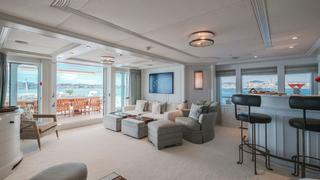 Other equipment includes two Yamaha FX 160 jet skis, a whole warehouse of towed and inflatable water toys, snorkeling equipment, fishing gear, and a pair of single-seater kayaks. 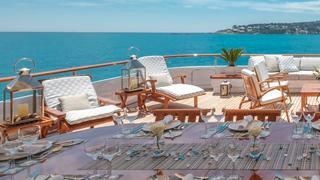 Offering a host of opportunities for guests to wind down in ultimate style in the world's most stunning cruising grounds, Mosaique will not disappoint.